By The Ohio Chemical Manufacturing Co. Dated 4-44. Size medium. The mask looks very good and is lovely and flexible retaining good shape. The harness, both webbing and rubber parts, oxygen hose and end connector are also very good. 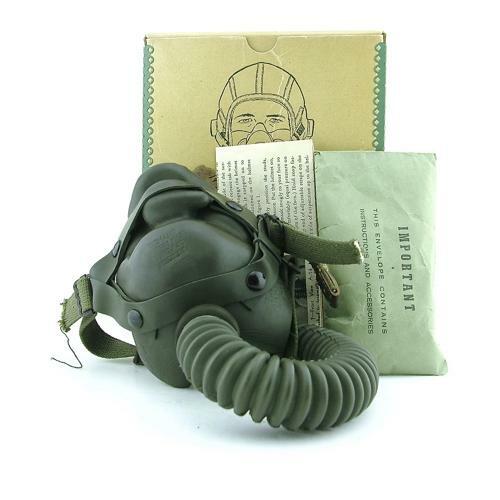 The mask comes in the original cardboard carton with spares envelope containing some press studs, webbing strips, tube securing clip and strap end pieces. Also comes with a general instruction sheet for fitting and use of the mask. A super display piece. Stock code O23001.